I have a truly gorgeous collection to show you for Fall/Winter from Barielle! 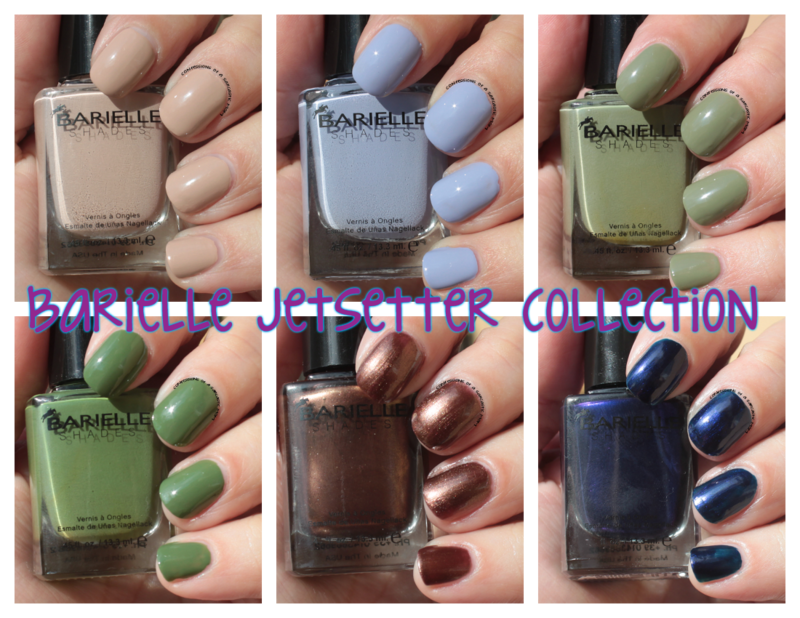 This collection is called Jetsetter, and it includes four creamy shades and two shimmery goodies. 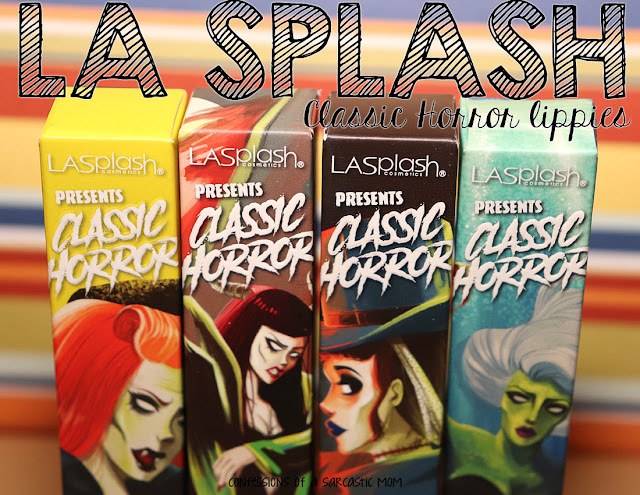 I am super impressed with this collection, especially the creme offerings. 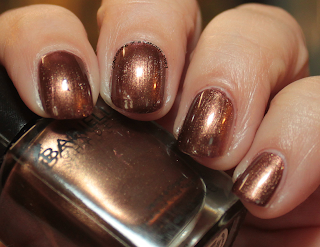 Gorgeous colors and amazing formula on those cremes! My nails are still recovering from my latest Break-a-Thon, but I couldn't wait to show these to you! Check out more thoughts and swatches after the cut! Kiss Me Kate is a great neutral pinky beige.The formula on this one is so amazing - it was almost a one-coater. It almost painted itself on my nails, it was that good! I will definitely be using this again in the future. Truth be told, I'm imagining a watermarble attempt and a gradient with these four cremes. 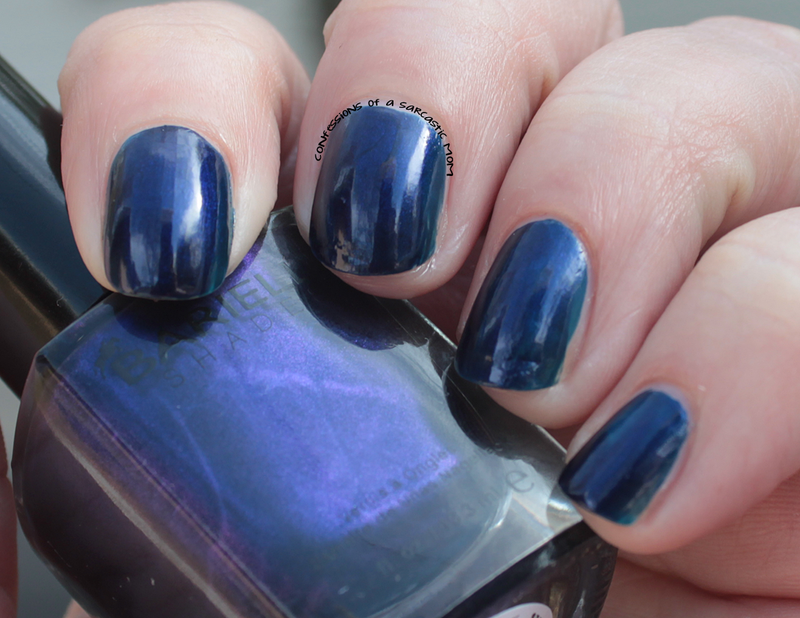 Rain In Spain is a beautiful periwinkle shade, and again, the formula was fantastic. I used two coats, but I'm looking at my ring finger and it appears I had some drag. That would have definitely been user error haha! Gondola Ride is described as a sage-ish green. It's definitely in that category! I kinda think it leans a little khaki with some dusty grey thrown in. I don't know how many times I can reiterate how great the formula is, but it is truly creamy and smooth. 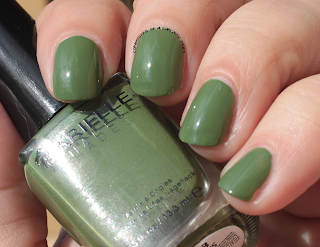 Irish Eyes is a bit darker on the green spectrum leaning up to a moss-esque shade. I'm not sure which green I like better - they are both wonderful! :) I do see using this one in nail art, like if I do trees or something like that. 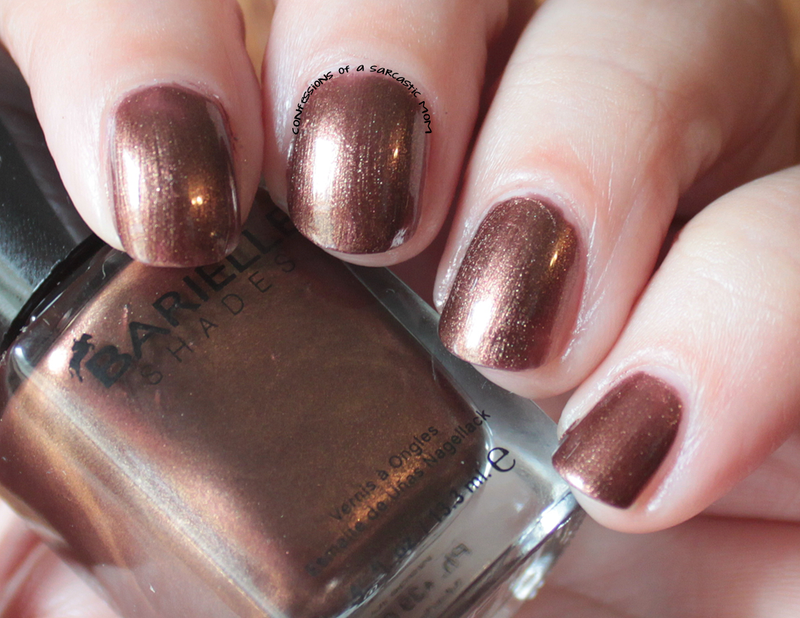 I think it would be the perfect shade for leaves or grass. Autumn in Seoul is the first of the two shimmers. 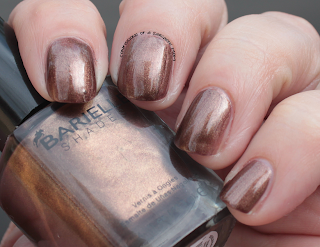 It's a burned copper color, and it is so pretty! I am, however, total suckage at getting pictures of shimmers. I just can't seem to capture them the same way I do cremes. The formula on this one is ok, if a bit on the watery side. It wasn't completely horrible, tho, and was easily maneuvered with thinner coats. 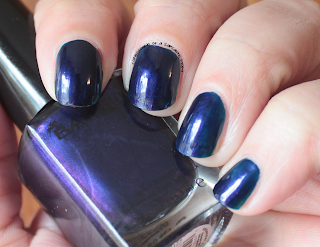 Midnight in Paris is the final polish in this collection, and despite it being the dark, dramatic polish, it's my least favorite. I do like it! Just not as much as those cremes. 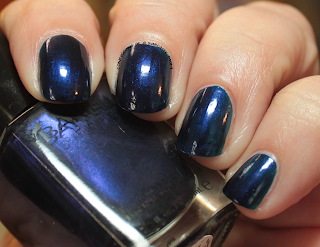 This is a deep midnight blue shimmer that shifts purple when it catches the light just right. 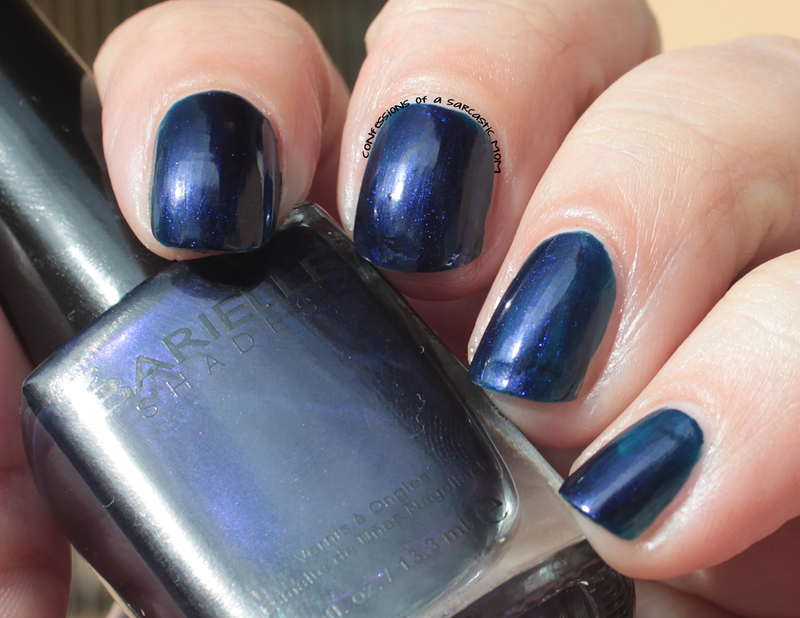 Do you have any of the polishes from this collection? I highly recommend the cremes! They are definitely worth owning. 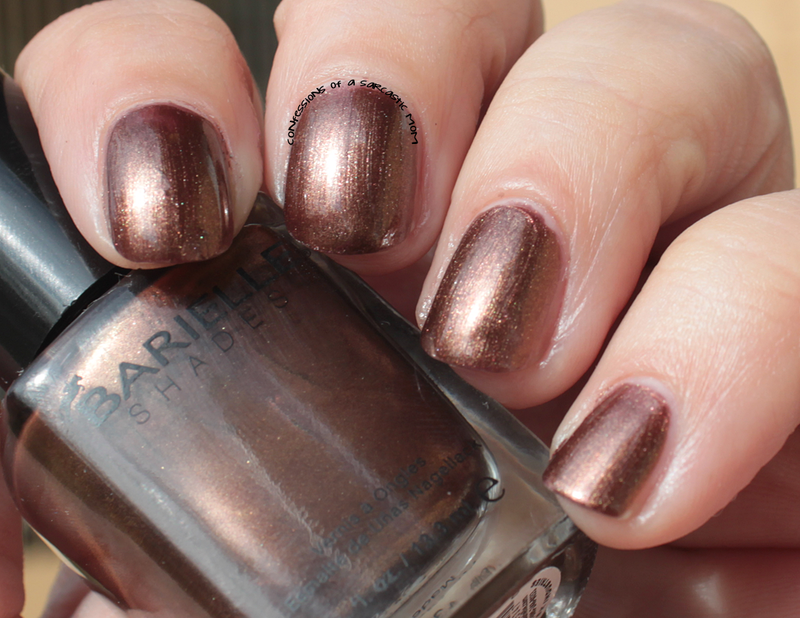 Barielle polishes can be purchased from the website and are $8 per bottle. They are 5-free, and Barielle does not test on animals.